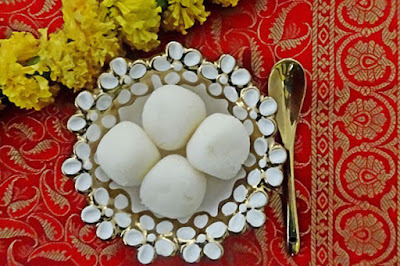 The Geographical Indications (GI) Registry has announced that the ‘Rosogolla’was originated in West Bengal and not Odisha. Bengal has been given GI ( Geographical Indication) status for Rosogolla. There was a bitter legal battle between West Bengal and Odisha over the origin of the syrupy Rosogolla since June 2015. To win the legal battle, Odisha’s Science and Technology Minister Pradip Kumar Panigrahi set up several committees in 2015 to trace the origin of 'Rosogolla'. Odisha even declared July 30 as ‘Rasagolla Dibasa’, to celebrate its origin. The GI is a name or sign used on certain products which relate to a specific geographical location or origin. India, as a member of the World Trade Organization (WTO), enacted the Geographical Indications of Goods (Registration and Protection) Act, 1999 has come into force with effect from 15 September 2003. GIs have been defined under Article 22(1) of the WTO Agreement on Trade-Related Aspects of Intellectual Property Rights(TRIPS) Agreement as: "Indications which identify a good as originating in the territory of a member, or a region or a locality in that territory, where a given quality, reputation or characteristic of the good is essentially attributable to its geographic origin. The GI tag ensures that none other than those registered as an authorised user are allowed to use the popular product name. Darjeeling tea became the first GI tagged product in India, in 2004-05, since then by May 2017, 295 had been added to the list.